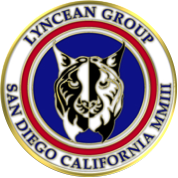 Books, articles, and online links that are recommended by members of the Lyncean Group of San Diego. Recommendations are listed in chronological order by the date they were uploaded, with the most recent at the top. The date is the date the recommendation was uploaded. Comment: I had not read any of the previous accounts of this disaster except UNSCEAR and WHO reports. It is a fascinating, if long, account, and quite horrifying. I had read of the “positive void coefficient” flaw in the nuclear design of the RBMK but not of the “control rod tip” effect that could lead, and did, to a runaway under certain conditions. I believe it is well researched and there are nearly 100 pages of Notes at the end organized by Chapter…..but there are no references in each Chapter to the Notes—what a blunder! The author has consulted with lots of people—Frank von Hippel being one who caught my eye—and does a pretty good job from a technical accuracy point of view…….but some anti-nuke stuff creeps in toward the end, for example, equating Fukushima with Chernobyl. I couldn’t put it down! Comment: This book chronicles the history of the development of the PLATO computer-based education system at the University of Illinois over the period of 1960 -1980s. The 50th anniversary of this activity was celebrated with a two day event at the Computer History Museum in Mountain View CA in 2010. This system spawned many of the early ideas relating to what we now call time sharing, computer gaming, social media, modem technology, flat displays (plasma), touch input, etc. The author, Brian Dear, lived and worked in La Jolla over the 25 year period during which he researched and wrote this book. 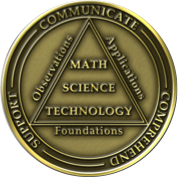 I was involved as a member of this team from 1965 through 1977 beginning as an undergraduate and leaving as a tenured professor in 1977 when I joined SAI at 1200 Prospect Street in La Jolla to help form the SAI Technology Division. I supported Brian’s efforts during his research and authoring of this book via several interviews and as a fact-checker in a number of areas. Brian now lives in Santa Fe, NM. Comment: A collection of Jim Holt’s elegant essays, which make big subjects — like the illusion of time — both intelligible and enticing. Comment: McIntyre is a Research Fellow at BU and Instructor in ethics at Harvard. He takes an objective, scientific, and even quantitative approach to explain how we arrived in a post-truth era, when “alternative facts” replace actual facts, and feelings have more weight than evidence. He also takes on the question of what can be done to remedy the situation. Comment: This historical fiction novel tells the true story of the first sinking of a ship during World War II. The ship was the passenger liner Athenia and she was sunk by a torpedo from a German U-boat on 3 September 1939. The author will be speaking to the Lyncean Group on 14 November 2018. Comment: Dave discussed his book at the 98th Lyncean Group meeting on 16 September 2015. Comment: Based on three lectures Feynman gave in 1963. Free ranging discussion of lots of topics from religion to politics to science. Easy to read and short (122 pages). Comment: Richard Feynman died on 15 February 1988 at the age of 69. This article celebrates his lasting legacy in the fields of the path integral formulation of quantum mechanics, quantum electrodynamics, and more. Comment: This extraordinary map was created by the European Space Agency’s Gaia Galaxy-Mapping Satellite, which was launched in 2013.